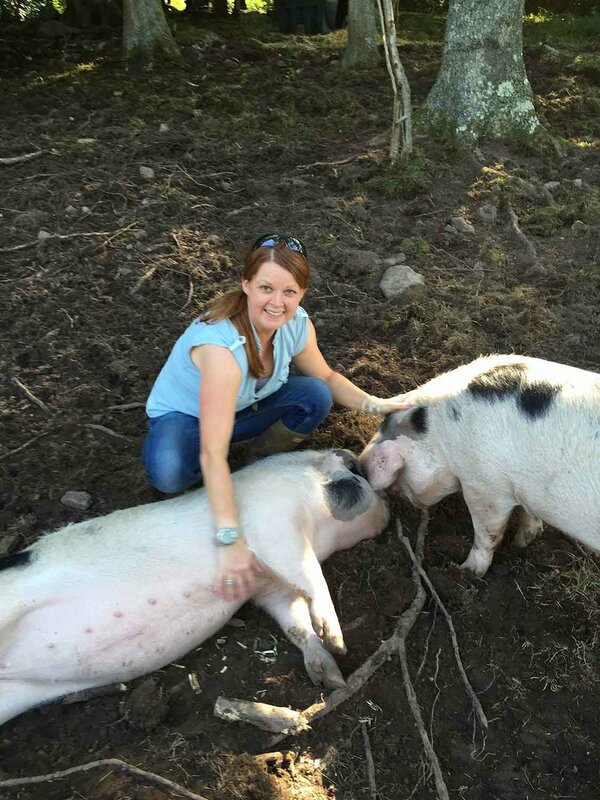 I’m Martha, small-scale free-range pig farmer and smallholder. I’m a former suburban, corporate woman gone rogue! I grew up in Sheffield, far from where I now live, in every sense. But approaching 40 and with 15+ years working for a large corporate organisation in a variety of offices, my mid-life crisis involved me selling the mini and buying a pick-up truck and three small pigs. I took over 15 acres of rough grade hillside farmland in the Welsh hills on which to start a smallholding and put those three pigs. My ambition was simple – I wanted to grow and produce things after many years of emails, calls and office work. Keeping a few pigs was a part of the plan, but they weren’t the main feature. My smallholding is just outside Abergavenny (Wales) in the Brecon Beacons National Park. This place is special to me because I spent time here as a child on my grandparents’ farm. Although a town girl, I longed for school holidays so I could be here, following my American grandfather and Welsh grandmother around their small sheep and cattle farm. I loved the space, the life and the markets. And when it came to belatedly deciding where I wanted to put down roots, I came back to the only place I had ever felt really connected to. Some 40 years later, I am working the same land my grandfather did. 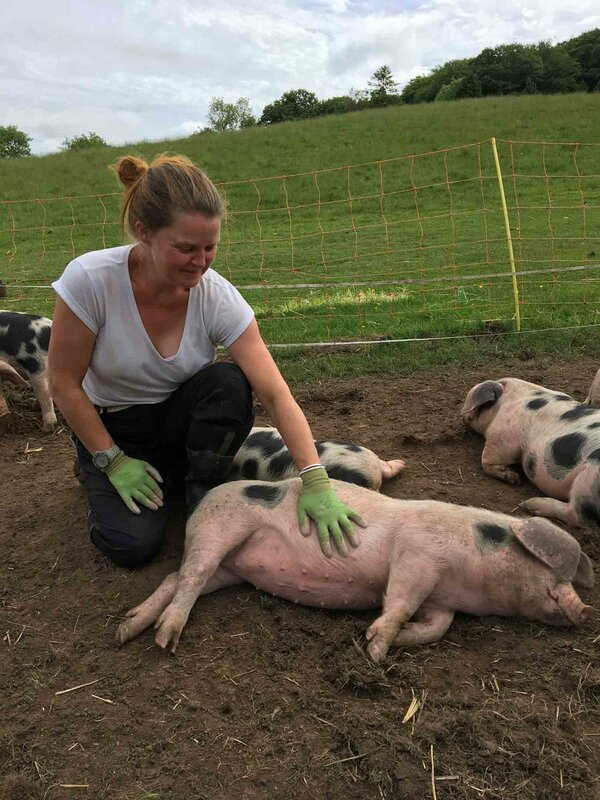 Having established I really liked rearing pigs and with requests from friends and family, in January 2015, my first piglets arrived and I established a little breeding herd. And it’s been onwards from there. I’m still very much small in scale, which is how I like it. I have never worked harder in my life. And I have never been happier. It’s a decent way to live and work.